The first week’s numbers for Call of Duty: Black Ops II are in and the news is as expected. The game has sold over 11 million units across the PS3, Xbox 360 and PC in it’s first week on sale. In comparison, the game outsold the previous version by around 550,000 units, which sold over 10.5 million units in its first week. 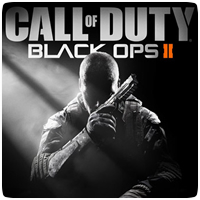 The Xbox 360 version of Black Ops II was the top selling version with sales of 6.21 million units, while the PS3 version sold 4.61 million units. The PC version sold 400,859 units in its opening week. The PS Vita version, Black Ops Declassified, was poor as expected, selling just over 110,000 units. The record holder is still unbeaten, however. Last year’s Modern Warfare 4 sold over 13 million units in its opening week.